Has the NFL draft got you excited for the upcoming season? 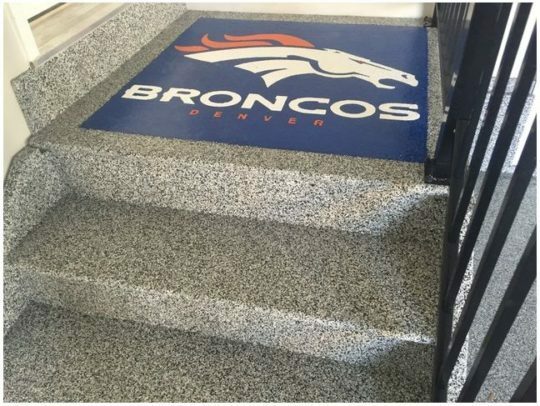 Show your pride and get your favourite team logo on your garage, basement or office floor! Hardscapes has done many custom logos for companies and individuals. From favourite teams to favourite cars, or your corporate brand in your showroom or office! Show everyone a little piece of yourself with a custom floor today! « Does your driveway have oil or transmission fluid stains?